Our family loves to travel. Everyone except Sophie, that is. For her, the ideal voyage is the trip from her bedroom to the kitchen downstairs. I, on the other hand, live for travel. In fact, I believe I suffer a moderate to severe case of travel addiction. As soon as we return from a vacation, I feel an uncontrollable urge to plan the next one. It sometimes feels like an illness. I often neglect the treasures in our own backyard to quench my wanderlust, which is reserved for far-flung locales that require boarding an airplane and basic knowledge of a foreign language. Because to my mind, travel isn’t really travel unless it takes you to unfamiliar and exotic places. Chloe often complains that we don’t go to New York City frequently enough and she’s right. We live 12 miles away from midtown and have ample public transportation options to deliver us there. But isn’t that the way of life for most of us? We take our local treasures for granted. 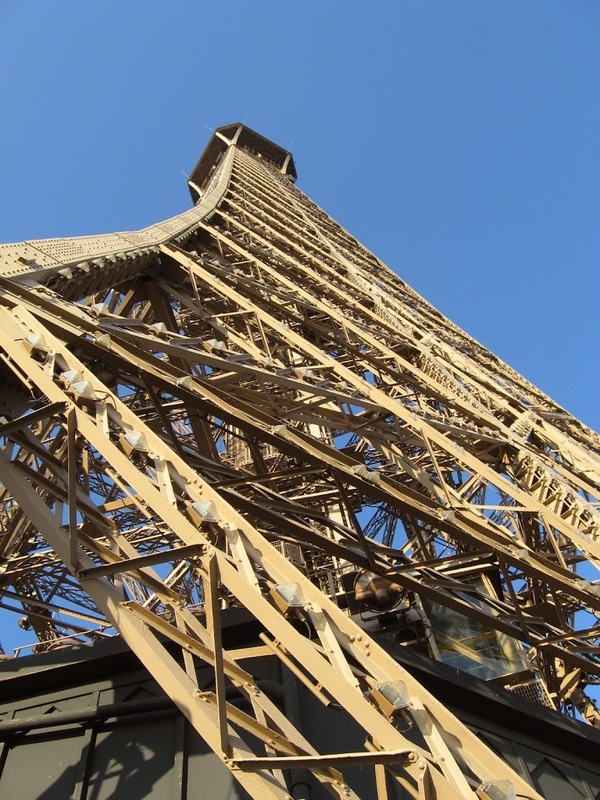 Hell, when I lived in Paris with my-not-yet-then husband, we never visited the Eiffel Tower. It wasn’t until we had kids and returned to the City of Light as tourists that we climbed the damn thing. One of my French nephews recently came for a visit. We were initially going to take him (and our dog) on a road trip to Lake Placid, but chose to cancel our plans so we could spend more time showing him the local sites instead. 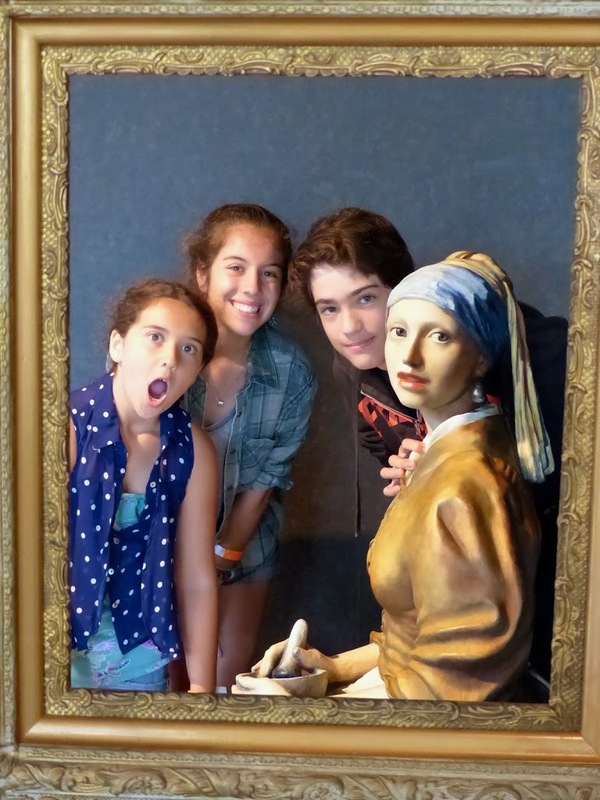 Lower Manhattan, the Metropolitan Museum of Art, the beach, Six Flags, the Statue of Liberty, a competitive round of miniature golf, the mall…None of us regretted the decision to make our house the epicenter of our adventures. 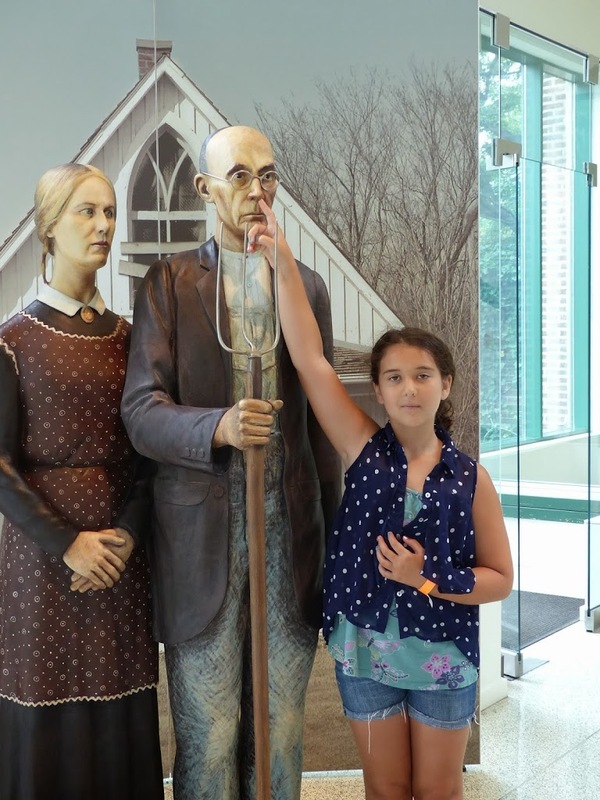 My favorite excursion by far, however, was our jaunt to Grounds for Sculpture, a huge outdoor sculpture park that was founded by J. Seward Johnson of the Johnson & Johnson clan. An artist himself, Johnson’s mission was to make contemporary art accessible to the masses. 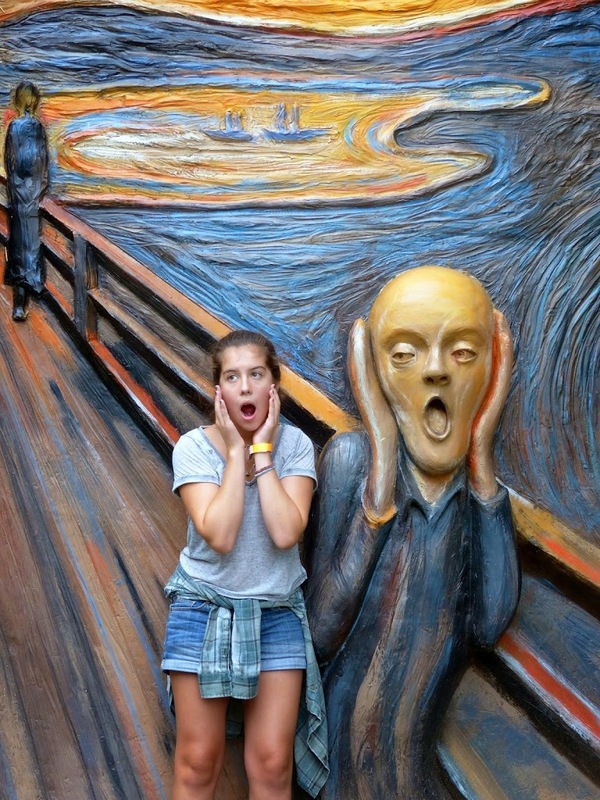 Although many renowned sculptors have found a home for their works here, we happened upon a large retrospective of Johnson’s own larger-than-life re-imaginings of iconic paintings during our visit to the quirky open air museum. His sculptures are kitsch, to be sure, but you have no sense of humor or whimsy if you don’t find them entertaining. For a couple of teens and a pre-pubescent tween, the site is marvelous in the way fictional Wonderland is marvelous. Or Neverland. Most of the pieces are interactive and invite unfettered exploration using your all of your senses, most especially touch. So you can imagine the zaniness that ensued when Chloe, Sophie and their cousin were let loose at this place. 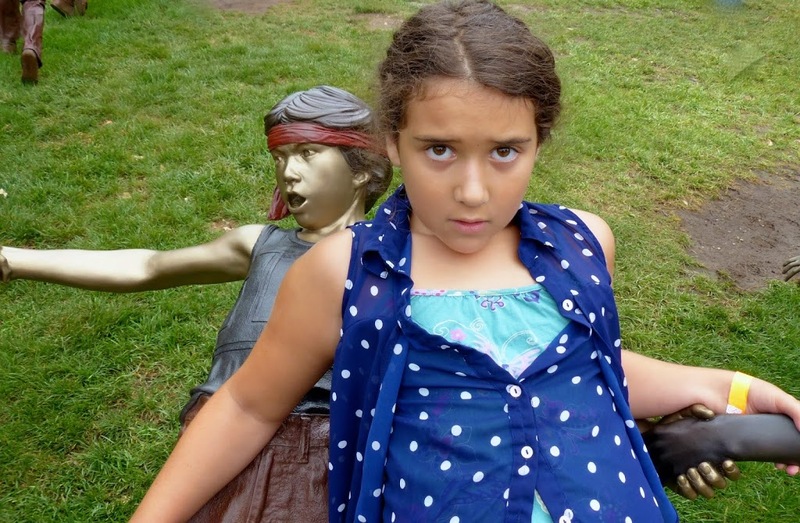 The kids all agreed that the “Girl With a Pearl Earring” was in desperate need of company. She seems less lonely now, doesn’t she? Chloe doesn’t normally take baths, but this one was too inviting to pass up. Incensed at the sexual inequity of this picnic, Chloe took it upon herself to shield the woman’s breasts from lecherous eyes. 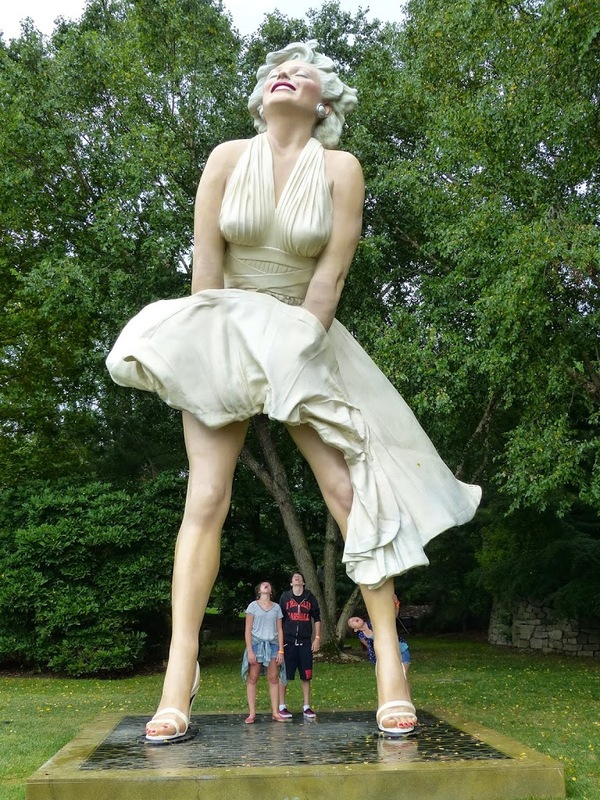 And if you ever thought that Marilyn Monroe wasn’t already an American cultural icon, Johnson’s jaw-dropping sculpture removes any doubt. Sophie often felt left out while Chloe and my nephew bonded over one another’s puerile behavior, so she found a friend of her own. 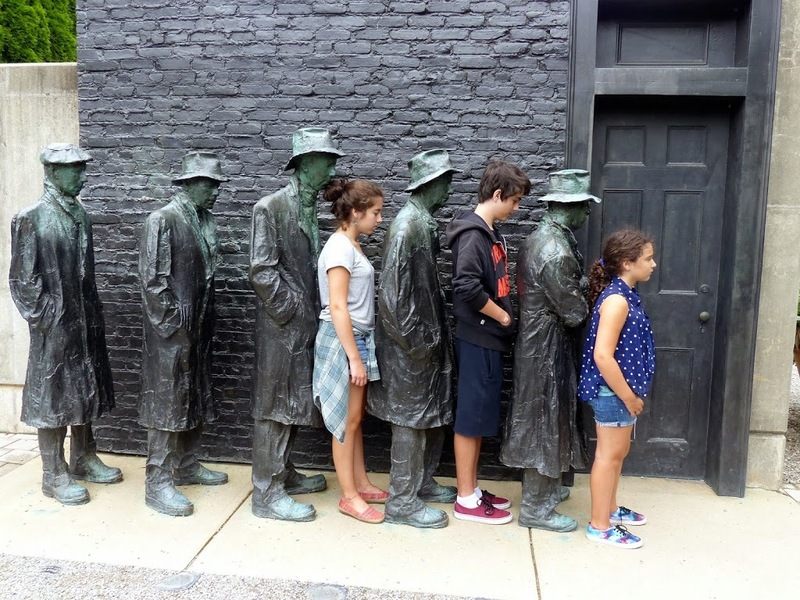 The kids joined these men on the breadline, thanks to George Segal’s Depression-themed bronze sculpture. The lap of this imposing “Olympia” was too tempting to resist, outsized boobies be damned. And since it involved some climbing (and was probably off-limits to boot)…need I say more? Now it’s my turn to ask you, dear readers, what local treasures relieve your travel itch? Hi Jennifer. Thanks for sharing your blog address with our Literary Mama readers. It looks like you have an active household — fodder for great blog posts! Keep writing! Loved this Post Jennifer! I’ve just got back from a very hectic vacation from DC,Niagara and NY – about a week ago. So I was especially happy to read this post as it took me back. 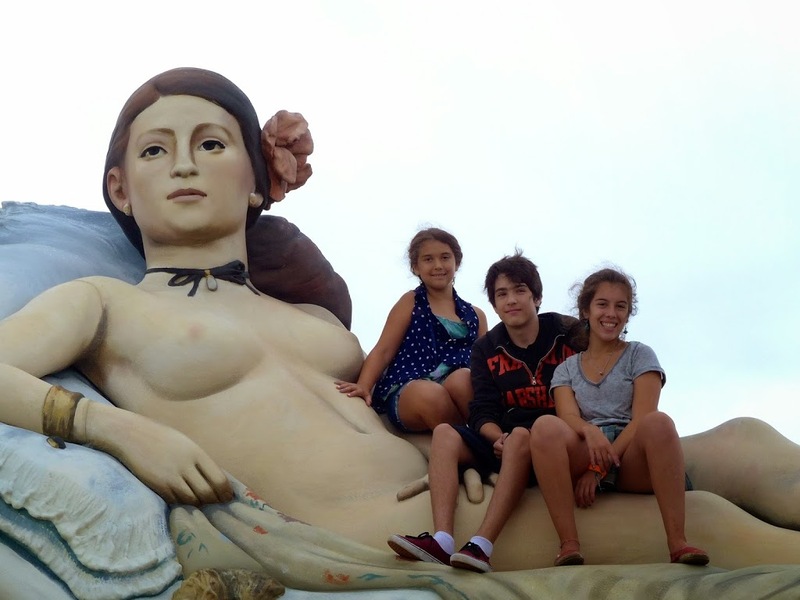 But how the hell did I miss this Sculpture Park? 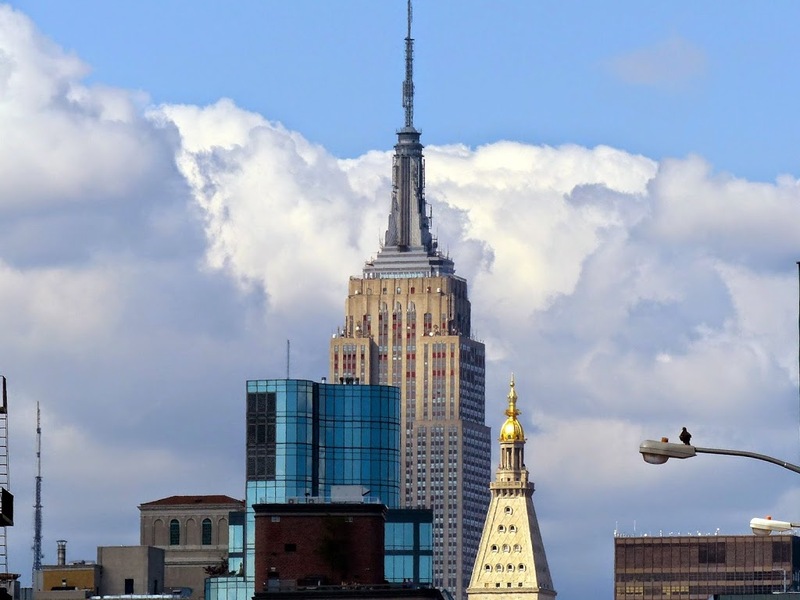 Where in NY is it? If I visit NY again – it will be top on my list, for sure. And like you, I have a wanderlust for the exotic, never happy to check out my own backyard – hmmmm – need to do something about that. so much in London that I haven’t seen as yet! Not sure what your website looked like before but I very much like this one. As for your local travel to quench your lust for far off places; when I feel my wanderlust creeping in and I can’t take the time (or have the finances) to go to the nearest coast line, I go to the lake or river nearby (within 15 to 30 mins away). It helps ease the cravings that get so strong that I feel I’ll burst into flames if I don’t get near a LARGE body of water soon. Thanks so much for taking the time to post a comment – I’m glad you like the site. We actually took a trip to a local lake a couple of weekends ago. It was a nice change of scenery and the perfect antidote to my feelings of “I really need to plan our next trip. NOW.” I don’t think I could ever live more than a short drive away from the ocean – being land-locked is just another form of claustrophobia, in my very humble opinion. You friend Tui is smart, indeed!